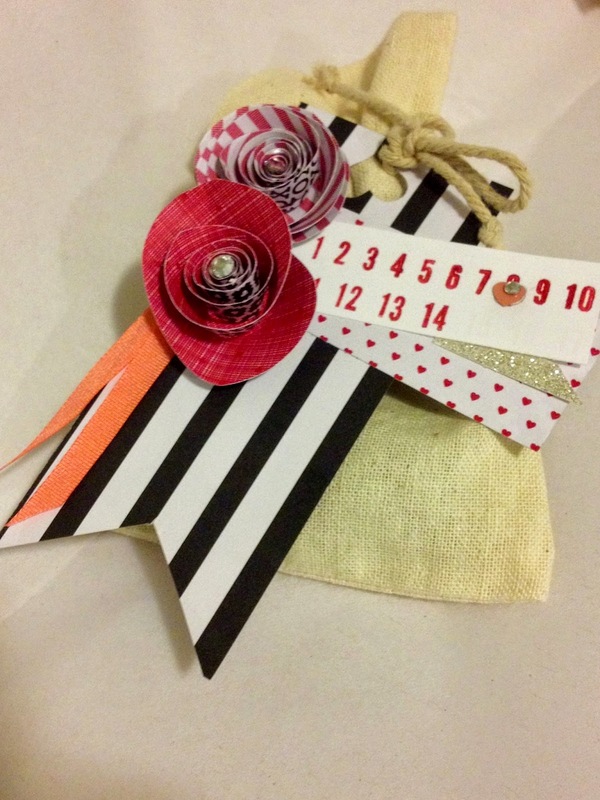 Mini Muslin Bags offer more room for special treats! Yes, another one! 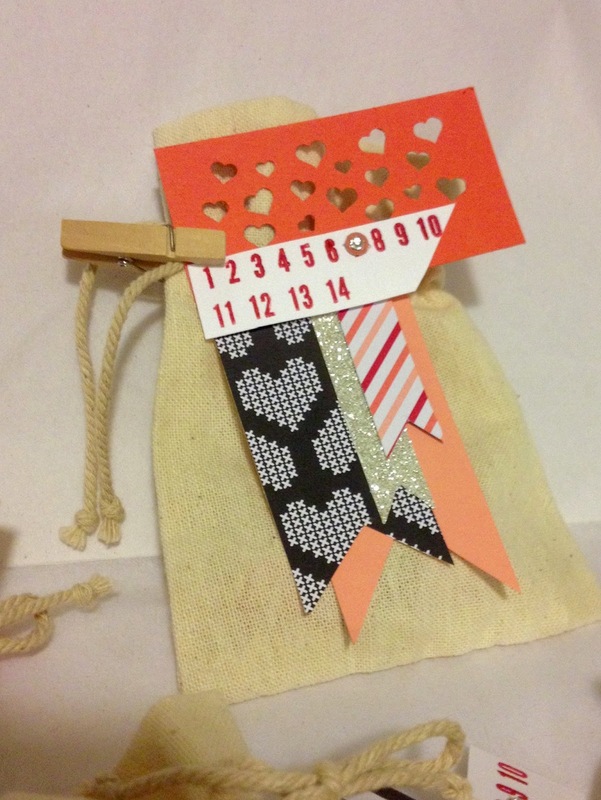 There are just so many cute ideas for countdowns! Today I want to share these Mini Muslin Bags - They're 4" x 5.5" and would be big enough for a small gift or for gift cards or (a generous helping of) treats! For the tags I used the Stacked with Love Designer Series Paper Stack, Stacked with Love Washi Tape, and the Project Life by Stampin' Up! 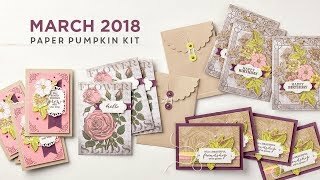 Day to Day stamp set. The days are marked with a little sequin. This first bag I used one of the extra hearts I had die cut for the Hershey Kiss Countdown, And I added some scrap paper with tiny hearts, a button from the Sale-A-Bration Best Year Ever Accessory Pack, some Silver Glimmer Paper, Washi Tape, and attached it to the bag with a Mini Wooden Clothespin. Sweetly simple, I think. Confetti Heart Punch is so fun! This bag, I made Pennants from some scraps and attached them to the strip of Coral punched with the Confetti Hearts Punch. I love the bright colors of this Paper Stack: not your traditional red and pink, but with elements of those, and striking accents of black. 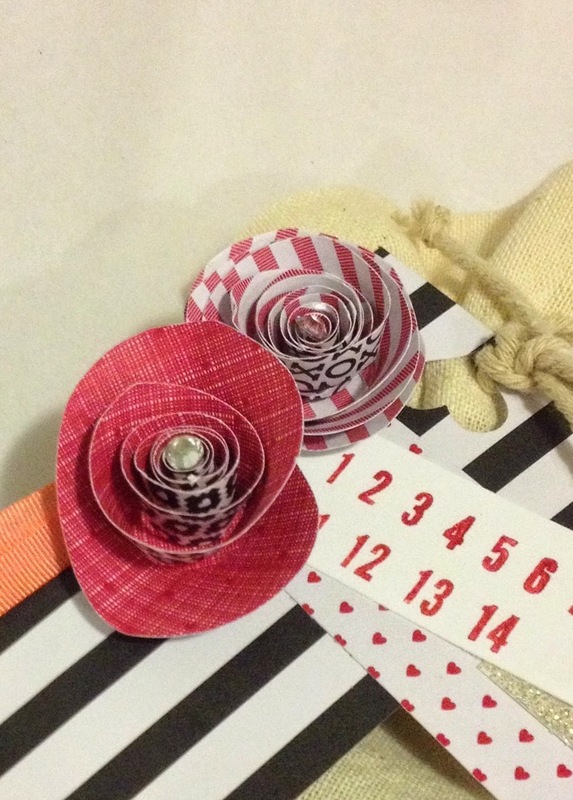 Rolled Paper Roses, a great accent for Valentines Day! For this bag, I used the papers to create a really oversize tag. This might be better on a gift bag, with a sentiment instead of a count down, but I like it none-the-less. Its the rolled roses. I love making them. Great accent for 3D items, and appropriate for Valentines. 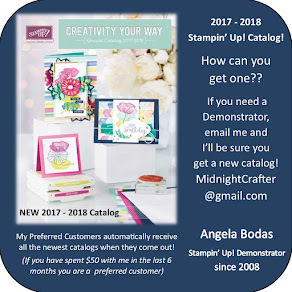 To make these its super simple ( you can use the Stampin' Up! Die :-) - you just need a square of paper, and you cut out a circle. Cut a spiral into the circle (perfection SO not necessary) all the way to the center of the circle. Then you start rolling from the outside of the circle in to the center. 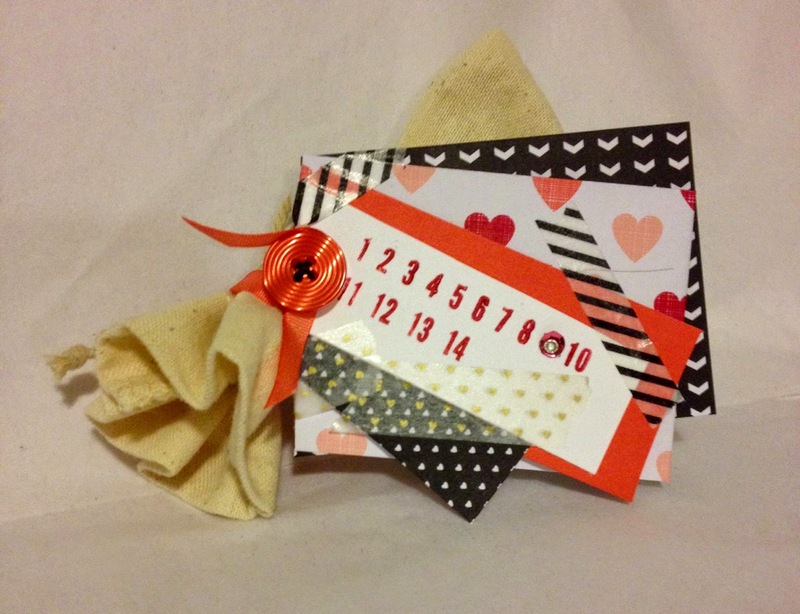 When you've rolled it - do it tight, it will loosen up - then fuss it into shape and glue it at the center or pop it onto a punched circle, directly onto your item, or onto the Sticky Circle Rounds (listed below). I added at rhinestone to the center of each, and punched a heart through the top of the tag to attach it with the bag strings. Mash Up! Its a scrap fest of Stacked With Love Papers! On this last bag I'll share, it really uses up my scraps. Seriously, small stuff is perfect to use up those leftover bits and still come out with something interesting! 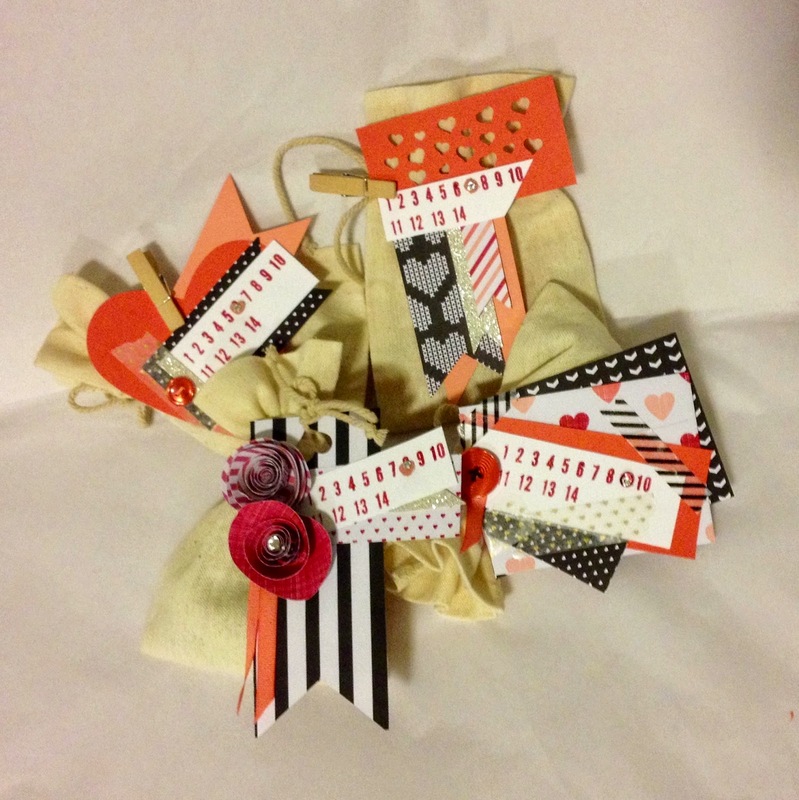 This mash up of scraps is a little different than my usual style, but I am please with how it came out! The color coordination of a Paper Stack makes random coordination easy! On this one I used another button, and some of the ribbon from the Sale-A-Bration Best Day Ever Accessory Pack. 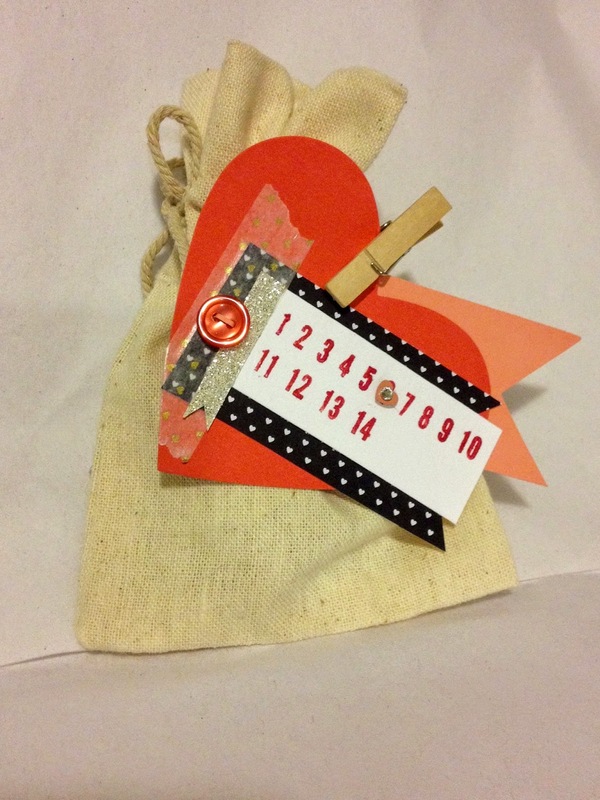 Hope you're enjoying these countdowns, I had fun making them, and I know my kids will enjoy opening them!! The items used in today's project are shown below. To view more information, or to purchase them in my online store, please click on any image.